900 games, May - Aug 2006 Events covered in Chess Informant #97: Sarajevo, Sofia, Torino (ol), Foros, Taiyuan, Biel, Paks, Dortmund, Montreal, China - Russia (m), Amsterdam, etc. 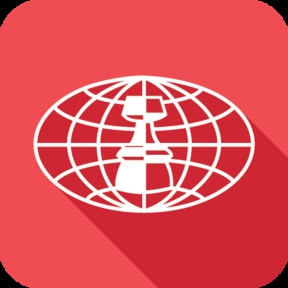 Contributors: V. Anand, Kramnik, Svidler, Morozevich, Ivanchuk, Leko, Mi. Adams, B. Gelfand, Mamedyarov, Navara, Grischuk, R. Ponomariov, Nisipeanu, Rublevsky, Ki. Georgiev, Tiviakov, N. Short, Van Wely, A. Naiditsch, Sergey Karjakin, Kasimdzhanov, Bu Xiangzhi, Iv. Sokolov, J. Lautier, Bologan, V. Milov, L. Dominguez, M. Gurevich, Bruzon, Krasenkow, A. Volokitin, B. Avrukh, Va. Salov, M. Kobalia, P. H. Nielsen, A. Beliavsky, Alexander Moiseenko, Riazantsev, Je. Piket, Macieja, Sutovsky, T. Gelashvili, A. Galkin, Ar. Jussupow, Vescovi, Ribli, Xie Yun, Christiansen, J. Timman, J. Benjamin, Mikhalchishin, Speelman, and many others. Trademark Sections: The voting for the ten best games and the ten most important theoretical novelties from Chess Informant 96, theoretical survey in ECO format, the most interesting recent combinations, endings and studies, tournament standings and crosstables, and the best of Svetozar Gligoric’s creative output. A surcharge is applied when shipping to a destination country, DHL is operating at elevated risk due to continuous state of war, civil unrest, or continuous threats from terrorism. Destination countries affected: Afghanistan, Burundi, Iraq, Libya, Mali, Niger, South Sudan, Syria and Yemen. A surcharge applies when shipping to a destination country that is subject to trade restrictions imposed by the UN Security Council. Countries in scope: Central African Republic, Democratic Republic of Congo, Eritrea, Iran, Iraq, North Korea, Libya, Somalia, Sudan, Syria, and Yemen. The biggest names in chess, Garry Kasparov among others, used to say: " We are Children of the Informant." And new generations of world-class players are keeping that tradition alive today. We have been reaching out to the entire chess world for half a century. 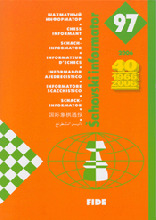 It is no exaggeration to say that Chess Informant were pioneers in the development of modern chess publishing. We raised the standard of professionalism in both the speed and quality of our published analysis which led to other companies also smartening up their act.